A Brand New Blog Challenge – Come & Get Involved! Home » Blog » A Brand New Blog Challenge – Come & Get Involved! I am delighted to be able to introduce a new monthly blogging challenge which will be co-hosted by myself and my good friend Louisa from Chez Foti. We want to kick off the Summer (what Summer you may ask!) with something new. Louisa and I are both passionate about seasonality and how it inspires the kinds of dishes we all cook. This challenge will be all about tapping into the many kinds of recipes we all want to make at various times of year. Each season will comprise of 3 monthly challenges which we will announce at the start of each quarter. The idea is to cook something that fits the theme and join in the fun! There will be a winning recipe chosen by a guest judge each month and that winner can display the winners badge on their recipe which will link back to a winners gallery on both Delicieux & Chez Foti where a link back to each winning recipe will live. And of course there will be a full round up of all the lovely entries at the end of each month. 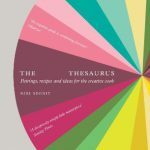 This month we will be offering a fantastic prize for the winning recipe – a copy of The Flavour Thesaurus by Niki Segnit. 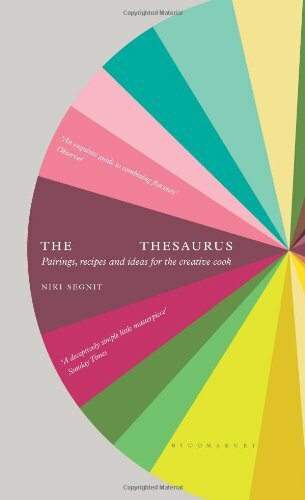 A brilliant handbook for matching your ingredients together when creating new and wonderful dishes! Natalie Coleman who won Masterchef 2013 credits this book as the key to her success so that must mean it’s pretty good! So, for the very first Four Seasons Food Challenge, the theme for the start of Summer will be Picnic Food & Outdoor Nibbles. The theme is nice and broad so there is plenty of room for creativity and fun! Please Tweet your entries using the hashtag #FourSeasonsFood and include @Delicieux_fr or @ChezFoti and we will retweet all that we see. We really hope you like the idea of this challenge and we can’t wait to see what delicious dishes you may enter! Bring on the Summer fun we say! 20 Comments on "A Brand New Blog Challenge – Come & Get Involved!" This is great as conveniently I posted our picnic lunch today so have entered it, there may be more coming too! Lovely, will do my best, although I don’t often picnic! What a brilliant idea, I think you and Louisa will make a great partnership and set some really fun challenges that also make use of the eating seasons! Lovely idea Anneli – I tell you, if more people at seasonal-specific food the world would be a better place! (Fewer plastic tunnels in Spain growing nasty, tasteless veg for example, although by the sounds of things they need all the jobs and work they can get right now…)! I shall have to look over some of my old dishes and see if I have some suitable entries. Thanks Charles! I agree – seasonality is just better all round. Tastes better and is better for the world. Win, win…!! Eating seasonally is something that is very important to me, so I’m very happy to see this new challenge. Good luck to you both. Love the idea of this – have added the pasties that I made for our sailing weekend – looking forward to browsing round the other entries – now where has the sun gone?? Excellent! Thank you so much for your lovely cake entry Jacquueline!